No doubt about it, we’re Cougar fans. 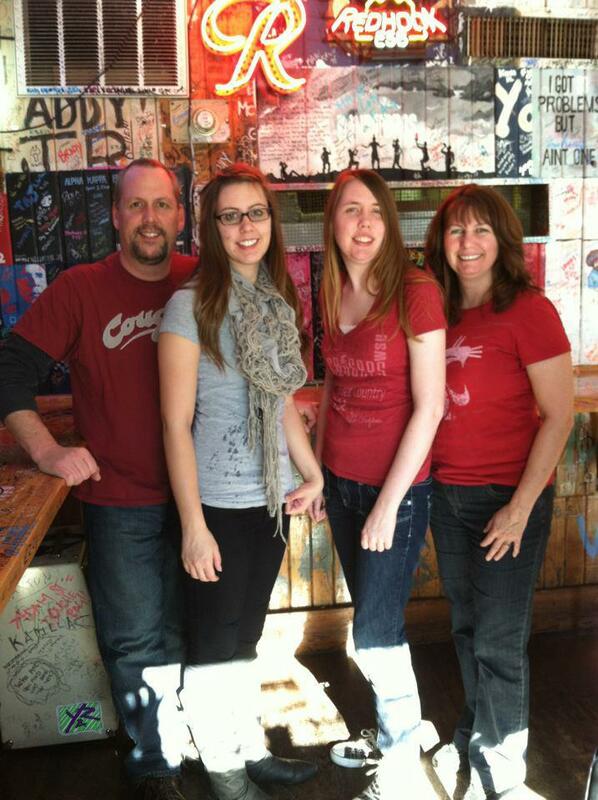 Phil and wife Diane both graduated from WSU and their lovely daughters, Jamie and Tate, are also at WSU. There’s no way getting around it – I am grateful to WSU, Pullman, and the Cougs. Son Phil even carried the Cougar flag up to a mountain top this spring and planted it, but I’m embarrassed to not know if it was Adams, Hood or Rainier .. but one of those. If I take the time to go do a little research, I’ll come back and update this, now that I’ve learned how to edit and add photos. There are so many things I’ve decided I love in my life through this month of September, that I can no longer separate them. They’ve all morphed together into one giant ball of gratefulness. I thought this morning that I could go on with this forever, if nothing else just picturing books that have been meaningful to me, but I’ll try to spare my blog from that fate. The Cougs. WSU. My kids. Football. Leaves turning into beautiful Fall colors. It’s my favorite time of year. This entry was posted in Gratitude, Loyalty, Nostalgia and tagged Family, Fun, Pride. Bookmark the permalink.